There’s plenty Photogrill to go around so please don’t keep us a secret. 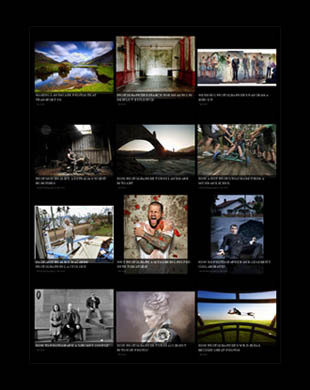 Help spread the word & support the photographers who share their creative talents and insights. 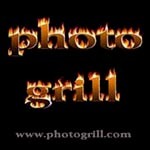 One way you can do that is by linking to Photogrill from your website or blog using the simple HTML code below. Just choose how you’d like Photogrill to be linked from your site, and paste the code underneath into your page. No need to copy images, they will automatically be served by photogrill, just as they are here. Then feel free to add your link to the comments below so I can check out your site. Featured photographers might like to use this link with their featured photo, just adjust the link to go to your Photogrill post. This entry was posted on Tuesday, May 24th, 2011 at 8:10 am. It is filed under Support, Uncategorized. You can follow any responses to this entry through the RSS 2.0 feed. Added on my blog and several gallery landing pages! Great site, by the way. Loved the HDR by Craig Sillitoe. I’m more of a photo-documentarian involved in journalism, travel photography and news media. But I have started to add some HDR to my Far East Asia stuff. 1. On the homepage (http://www.photoblog.ie/) do the images take a while to load. For me they don’t but someone mentioned before that they had an issue with them. 2. On the (photo)blog section (http://www.photoblog.ie/photoblog/) do you think there’s too many categories? 3. Is the page title (photo)blog confusing or straightforward. I suppose it’s trying to be a. funny and b. explain that it’s the blog section but a photoblog. 4. Is it obvious where people click to add comments? 5. On a few pages (buy prints, about me, contact, links) I have an ‘banner images’. Should these all be the same width & height or does it matter? 6. Should I get rid of the intro (welcome & paragraph) on the homepage? I’m happy with it as it’s an overview/intro. 7. Does the process/info on buy prints page (http://www.photoblog.ie/buy-print/) seem easy to follow & easy to use? 8. Is the info on the about me page (http://www.photoblog.ie/about/me/) too long? Originally I had it divided into about me and a separate equipment page but wasn’t happy with this. 9. A general overall opinion would be great- thanks. I know there’s a few links that don’t work etc I’m ironing them out. Hi Patrick, thanks for adding a photogrill link to your site, I’ve sent an email with adjusted code for you. 1. Images load quickly for me. 2. I think it’s ok. Though you do have categories that might overlap, (such as B&W & People). You could use less categories and add tags which can overlap. 4. It’s obvious for someone who want’s to leave a comment, though it doesn’t invite people to leave a comment I think. 8. I’d say it’s like a lot of about pages, most people won’t read everything, but those who matter the most will. It’s ok if it’s long, but keep your main points at the top. 9. I like your site Patrick, you have some nice photos there (love the beer shots), I wish you the best with it.